Kat R. writes: I have a dime and it has a lady on the front (1924). I know this is vague, but I found it in a very old paper wrapping in my bedroom. It is in pretty good condition, due to the wrapping, and two of the collectors that I’ve spoken to have tried to buy it from me for $3,000 and one for 5,500, so I am eager to know the actual value.. perhaps you could help? 1924 – Average circulated (VG – Fine) – $2. EF – about $10. MS63 – about $70. 1924-S Average circulated (VG- Fine) – $3.50. EF – $60 – MS63 about $450. 1924-D Average circulated (VG- Fine) – $3.50. EF – $50 – MS63 about $400. Gem uncirculated examples with split bands on the diagonal bands that hold the bundle of sticks are worth more. Raymond E. writes: Coin Doc, My mother and I were recently cleaning out my grandmothers house after her passing and found an old small paper bill that said 15 cents on it. I looked it all over and found it was dated March 31 1863, National Bank Note Co. New York and has two signatures, Colby Spinner and John Allison. I have done some book reading but not much on paper money below one dollar amount. My question is is this real paper money and how can I find its worth? Thank you so much. In 1861, at the start of the Civil War, values of metals from copper to gold began to rise rapidly. Coins were either hoarded or melted leading to a severe shortage of small denomination coins, the coins most people needed for ordinary daily transactions. Postage stamps were tried as emergency currency (the law permitting this was signed into law on July 17, 1862 by President Abraham Lincoln) but, as one can imagine, soiled and sticky stamps were difficult to count and redeem. The Treasury printed small notes that had similar designs to the then current postage stamps but they weren’t really legal. The law was changed to accommodate fractional currency notes (notes with face values under $1). The Federal Government hired four private bank note companies to print 3,5,10,15,25 and 50 cent denominations. 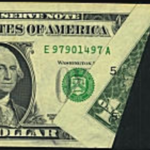 There were five issues of these notes but not all denominations were printed for each series. Colby Spinner were two different individuals: S.B. Colby-Register of the Treasury (8/11/1864 -9/21/1867) and F.E. Spinner – Treasurer (8/10/1861 – 6/30/1875). John Allison was Register of the Treasury (4/3/1869 – 6/30/1878) and was the second successor to Colby after Noah L. Jeffries. Colby and Allison can’t be on a note simultaneously. It is possible to have signature combinations as Colby – Spinner or Allison – Spinner on United States paper money. A specimen 15c note, really a pattern that was never adopted for commerce, exists. This note features General Sherman and President Grant at left and right. These notes have the Colby – Spinner signature combination. Backs are either red or green. Approximate values, depending on grade and variety: $145 – $4,500. 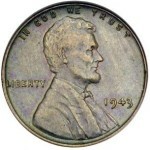 Regina R. writes: I have a 1955 s “error” lincoln penny, but i can’t find reference to it. the date is not double die, but the reverse is. The obverse, maybe? I’m no expert, so I’m e-mailing a photo. You have a copper Lincoln cent that shows a multiple strike on the reverse. This was caused by the coin not being properly ejected from the coin press and then struck again but this time outside of the collar that holds the blank in place when it is struck. The damage on the obverse was caused by the partial reverse second strike. This is very different than a “double die” where the die is manufactured improperly and has a doubled image. Each coin struck from a double die has the identical defect. Multiple strikes are unique. Approximate value: $25-$35. Shelley asks: How much are the state quarters worth today? How fast will/do they build value? The copper-nickel State quarters being produced by the U.S. Mint are worth face value, that is 25 cents each, and are the current circulating quarter. Each coin is produced at the Philadelphia, (P) mint mark, and Denver Mint, (D) mint mark, in vast quantities, approximately 500 million coins each year. 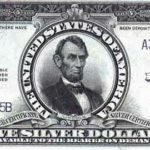 Collectors try to acquire high quality pieces either from U.S. Mint sets, available from the U.S. Mint in the year of issue, or buy original rolls or bags from the Mint. There are also proof issues struck at the San Francisco Mint, (S) mint mark, in both copper-nickel and in 90% silver. You can often get mint condition pieces at your local bank though they may or may not be of the same quality of as the Mint’s offerings. You can put together your own copper-nickel sets from 1999 – 2008 for a total of $25 per set (a total of 100 quarters from the Philadelphia and Denver Mints purchased at face value). Since so many coins are available, I don’t expect that sets of business strike examples will bring much of a premium unless they are in unusually high mint state quality. It does seem that some of the proof issues have done fairly well already. For example the 1999 silver proof set, which includes all the State Quarters for 1999 in 90% silver, currently trades for about $100, well above its issue price from the Mint of $31. 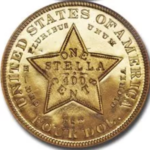 Matt H. writes: I have a small coin, it is enclosed in a star shaped coin protector. 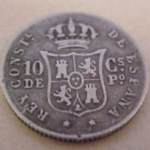 It is a silver or aluminum coin, on one side it says, Remember the Maine, with a picture of the ship Maine, and on the other is a flag of Cuba, with the words Cuba must be free” Do you know of this coin? Not a coin but a medal. Many were made as souvenirs after the sinking of the Maine in Havana Harbor in 1898 which launched the Spanish-American War. Some of the medals attributed to this era were struck on re-rolled armor plating from remains of the actual ship by the Springfield Iron Co. in Springfield, Illinois. They were very creative with this concept and made anything from models of the ship, hat pins, ash trays as well as an extensive assortment of medals. These items were very popular and were successfully marketed. Medals from this era are collected by numismatists that specialize in “exonumia”. What currency has the signature of U.S. Treasurer Francis E. Spinner? Sherry S. writes: My husband’s great-great grandfather was Francis Spinner. He was the US treasurer from 1861 through 1875. I would like to purchase something with his signature. I am having troulbe locating anything. Is there any paper money with his signature? Francis E. Spinner was the first Treasurer of the United States to have his signature on U.S. currency. He served four terms in office that began on April 17, 1861 and ended on June 30, 1875. He is noted for introducing women into government employment as well as presiding over this office in during the dark days of the U.S. Civil War. You can purchase currency from this period with Spinner’s signature of various types and denominations, including fractional currency, from a paper money dealer. What makes one Lincoln cent more valuable than another? Gerri writes: I have a lot of Wheat back pennies. I’m curious to know whether any of them might be valuable. What are the certain dates and letters that make some more valuable than others? And what makes them more valuable? What should I look for? Thanks, Gerri. Absolute rarity is related to the number of pieces of a particular issue originally minted and how many of those survive today. Relative rarity brings collector demand for that issue into the equation. A particular date and mintmark from a more popular series will bring more than an issue with the same number of surviving specimens that is not as popular. The value of Lincoln cents is established by collectors who compete to find the grades, dates and mint marks they need for their collections. For example, red uncirculated examples from the 1930’s can bring $5 to $100 but circulated examples except for the 1931-S are virtually face value. The mint marks, the small letters that accompany the date, represent the mint where they were issued. For Lincoln cents the only mints are Philadelphia (no mint mark),(D)enver and (S)an Francisco. Some issues are rare because of circumstances. Good examples are the 1914-D, 1909-S, 1909-S with the designers intials V.D.B. on the reverse, 1922-D, 1922-Plain (die error) and the 1931-S.
For basic coin and paper money prices and to get a general idea of what you have, please see: What’s It Worth? Ricahrd B. writes: Hello, Coin Doc. I have a Washington Peace medal which I purchased from a large estate which had a formidable collection of Native American and colonial artifacts. This medal is made from an oval disc of silver and is line engraved with an Indian with a peace pipe and George Washington extending his hand with a farm scene in the background on the obverse. The reverse has an heraldic U.S. eagle. Gifts of Peace Medals to Indian leaders were a part of the national policy of the English, French and Spanish during their experience in North America. The medals were cherished by the recipients as valuable icons and often these medals were taken to their graves. Peace Medals were adopted and institutionalized by the American Government soon after the Revolutionary War when the new governement was establishing policy concerning their relationship with the native Americans. 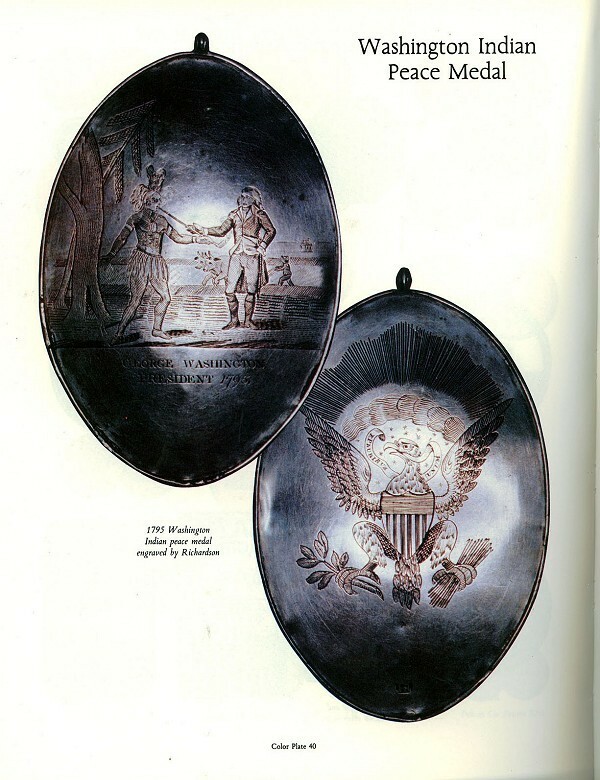 The Washington pieces were hand engraved by well known and skilled silversmiths such as Joseph Richardson and were manufactured during the first American administration beginning in 1789. They were looped at the top and designed to be worn as a breastplate. Subsequent medals were struck from dies at the United States Mint in Philadelphia. Every President from John Adams(1797) to Benjamin Harrison (1889 and 1890) had their own Indian Peace Medals. Reproductions of U.S. Mint struck examples are currently available from the Philadelphia Mint. Because the Washington medals were hand engraved, they are difficult to authenticate. There was a Washington Peace Medal in the Garrett Sale (see the image below) and this is often used as a model. You might try the ANA again as they are currently sending controversial items to various experts around the country and even around the world as a method of acquiring a consensus of authenticity.